Until now I always believed that sugar made kids hyper. I have been careful not to let them have too much sugar close to bed time. "Junk" cereals have been allowed as an afternoon snack but not first thing in the morning! After reading chapter four I was quite surprised and still doubted the reliability of what I was reading. I decided I would investigate myself and find what I was sure to be true! 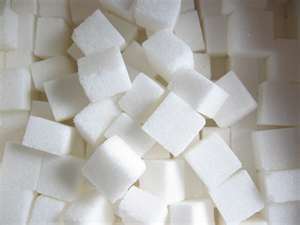 To my embarrassment as a mother of four, I could not find one study or hint that there was a truth to any sugar causing my kids to jump on the beds or get so wound up they could not sleep. On the contrary, I found website after website reporting on the myth that has been in my family for many years. Now, when I hear something that does not sit right with me I usually do my own research and investigation and find out the facts. However, when my oldest (now 16) was a baby and I commented at a party that he was "bouncing off the walls", a friend said "give him another soda and he will bounce all night!" I do remember this well and I never questioned it. It made sense to me and I remember thinking wow why didn't I think about the fact he consumed so much sugar and this is how he is acting. We were also at a party and all his cousins were there and now I know that he was simply excited and happy and normal. He was not acting like a junkie as I have since believed. I have even blamed their father over the years for "amping" them with sugar before bed time. Clearly the placebo effect played the part for my belief. I observed behavior that was a little out of the ordinary and jumped at the first reason that made sense to me and I never looked back until now! I really did not have reason to look any further, because I had my answer. Even though Uncle Martin could get my kids excited because he was always playing with them and roughing them up a little, I would NEVER indulge them in a soda and Uncle Martin! That would have been chaos! Surely too much sugar is bad for our health and we know it causes tooth decay (I will have to make sure), so it is good to indulge in moderation, just as everything should. My kids on the other hand have fallen into the same trap of the placebo. They have indulged in candy and soda and then run around claiming they are "on a sugar rush." I will have to sit them down and give them the facts of life and tell them once in a blue moon mom makes mistakes and they have fallen victim to being deprived of sugar before bed. I am not sure what will delight them more; the fact that I can not use this as a reason to deprive them of sugar or the fact I always tell them I know what is best because "I know more than them." I did find a website that would have certainly reinforced this belief until now. Interestingly the person responsible for this false information is Nancy Guberti (not a doctor) and she is listed in the "physician directory of Warrior Mothers!" It does not even say if she has an education in any field let alone nutrition. But she can help with ADD, and Dislexia, and ADHD. I will share the link and you be the judge of the information.